University of British Columbia J.D. Trevor has extensive experience advising senior public and private companies, institutions, investment dealers, boards of directors and special committees on mergers & acquisitions (hostile and negotiated), equity and debt financings, restructurings, corporate governance and shareholder activism. The Canadian Legal Lexpert Directory ranks Trevor as among the leading mergers & acquisitions, corporate finance & securities, corporate commercial and corporate mid-market lawyers. He is also ranked by Best Lawyers in Canada as a leading mergers & acquisitions, corporate, corporate governance, securities and mining lawyer. For 2017, Trevor was recognized by Best Lawyers as “Lawyer of the Year” for corporate governance. Trevor is the Past Chair of the Canadian Bar Association’s National Business Law Section and a former Chair of the Securities Law Subsection of the Canadian Bar Association (BC). 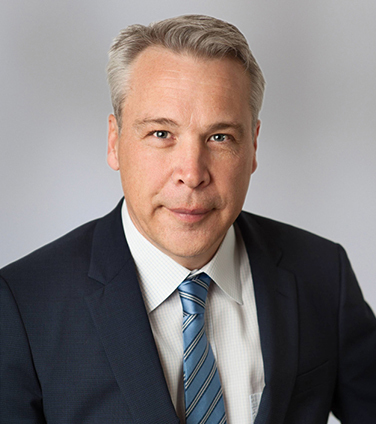 He is also a past member of the Securities Law Advisory Committee, which is a committee of leading lawyers that provides advice to the British Columbia Securities Commission on legal and policy issues relating to securities regulation. Trevor regularly lectures and authors articles on mergers & acquisitions, corporate finance and shareholder activism. He is a director of the Pacific Salmon Foundation. The underwriters in the $150 million bought deal offering of TransAlta Renewables Inc. common shares by way of a prospectus supplement filed on June 15, 2018. $1.4 billion acquisition of Whistler Blackcomb Holdings Inc. by Vail Resorts, Inc.
Acquisition of Contigo Systems Inc. by Vecima Networks Inc.
$139 million acquisition of Pacific Northern Gas Ltd. by Alta Gas Ltd.
Acquisition of Backstage Technologies Inc. by RealNetworks Inc.
$417 million combination of Ram Power, Inc., GTO Resources Inc., Polaris Geothermal Inc. and Western GeoPower Corp., and concurrent $180 million subscription receipt financing. $75 million acquisition of TIR Systems Ltd. by Philips Electronics Ltd.
$151 million take-over of Regalito Copper Corp. by Pan Pacific Copper Co, Ltd.
US$855 million acquisition by QLT Inc. of Atrix Laboratories, Inc.
Merger of AirIQ Inc. and eDispatch.com Wireless Data Inc.
Acquisition by NxtPhase Corporation of the APT Power Technologies Division of Vansco Electronics Ltd.
$57.5 million public offering of subscription receipts by Hardwoods Distribution Inc.
US$100 million Canadian shelf prospectus and U.S. registration statement by AnorMED Inc.
$26 million secondary offering for Pacific Northern Gas Ltd.
US$3 billion multiple securities Canadian shelf prospectus and U.S. registration statement by 360networks inc.
US$172.5 million convertible senior note offering by QLT Inc.
Euro $200 million high-yield debt offering by 360networks inc.
US$345 million venture capital financing by 360networks inc.
$18 million venture capital financing by Protiva Biotherapeutics Inc.
$20 million asset backed credit facility for Hardwoods Distribution Inc.
$300 million commercial paper program by Westcoast Energy Inc.
successful defence of unsolicited take-over bid by Proprietary Industries Inc. for eDispatch.com Wireless Data Inc.
US$23 million bridge loan facility for Western GeoPower Corp.